Since its debut in 1997, South Park has been one of the best loved, most watched, and intensely controversial shows on television. The animated series about four 4th graders—Cartman, Stan, Kyle, and Kenny—has perennially been a critical triumph and a regular ratings monster. And it boasts an enormous legion of diehard fans who would kill (Kenny) to get their hands on this book. 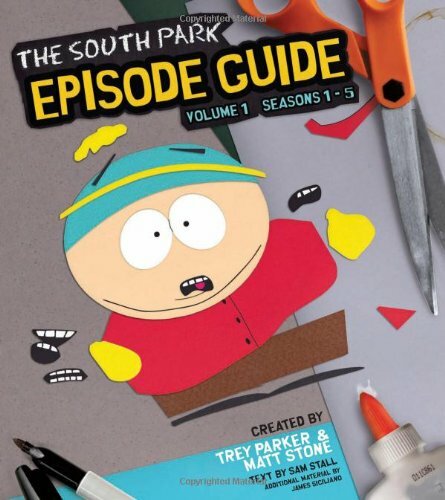 Inside you'll find entertaining, informative, and colorful descriptions of each episode of South Park from Season 1 through 5. Each episode is presented on a full-color spread featuring detailed plot descriptions, character sketches, celebrity-guest rundowns, dead-body counts, pointless observations, insider information, unexpected trivia, memorable quotes, colorful screen grabs, and much more. If you have any questions about this product by Running Press, contact us by completing and submitting the form below. If you are looking for a specif part number, please include it with your message.